Originally published in January 31, 2012 issue of Shelf Awareness for Readers. Reprinted here with permission.. Receive bi-weekly Shelf Awareness for Readers in your inbox by registering here. 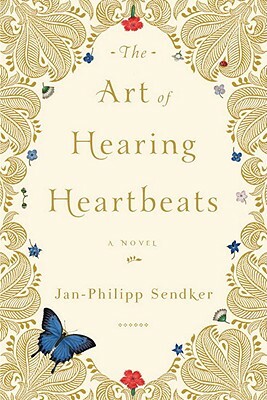 Jan-Philipp Sendker's brilliant debut novel, The Art of Hearing Heartbeats, opens in a tea house in Burma, where Julia has come in an attempt to locate her father, who disappeared from New York City without a trace. Following a hunch (and an ancient, unmailed love letter) to her father's homeland, she hopes to uncover the secrets of his disappearance--and the first 20 years of his life. In the tea house, Julia encounters U Ba, an aging Burmese man who mysteriously knows not only her name, but the purpose of her trip. Despite her initial protestations, he begins to recount a story of decades past, reintroducing Julia to the father she once thought she knew. "His sentences soon took the shape of a story," Sendkar writes, "and out of that story a life emerged, revealing its power and its magic." The Art of Hearing Heartbeats is laced with wonderfully crafted sentences like this, and, just as U Ba's sentences do for Julia, Sendker's combine to tell a powerful and magical story of a love that crossed continents and decades, that spanned blindness and physical disability to bring two people together as closely as one can imagine. Sendker's novel proves to be a love story of the most masterful variety: one that requires a box of tissues without ever venturing into the land of cliché. Coupled with an unusual glimpse into the Burma of the 1950s and today, readers will delight in the emotional power of Sendker's storytelling and find themselves believing not only in the power of love, but the strength of family.